It has already been quite the year for Microgaming. First, the oldest and leading online casino software developer lost the rights to the DC Universe to rivals, Playtech. That saw the termination of one of Microgaming’s most successful slot machine games of all time – The Dark Knight progressive jackpot slot. The surprise broadside from Playtech and sudden release of their own DC games may have taken Microgaming by surprise, but Playtech isn’t the only casino software developer giving Microgaming jip. The company has also been struggling to fend off rising star Net Entertainment from surpassing it as the number one casino software provider. The latter now have more casinos running their software than Microgaming and are producing quality new slot machines at a much faster rate than their rivals. Given the kind of year that Microgaming have had, one might well worry for the future of the internet’s leading casino software provider. Microgaming needed a plan, and quick. Fortunately, the summer has seen Microgaming fight back, and it is actually shaping up to be a rather busy end to the summer for Microgaming. Ever since the beginning of summer, Microgaming has been unveiling new slot machine games as if off a conveyor belt. None of them have gone on to be particularly big hits, but that may be about to change. As August kicked into gear, Microgaming unveiled two brand new slots which showed promise. Oink: Country Love was the first new game to be released. The slot is played over 5 reels and 45 paylines, and has a distinct piggy farm theme to it. Starring Willy and Chancho (the two, star pigs), this farmyard fun themed slot machine certainly brings some comedic relief to Microgaming powered casinos. Oink: Country Love can be played for as little as 50p per spin, with players able to use both pigs as wild symbols. Scatters can trigger a free spin bonus in the slot, known as the Barnyard Bash bonus. That feature can offer up to 20 spins (although with the retrigger and multiplier feature from continuous scatters, as many as 160 can be won), whilst wins worth as much as 500x a player’s total stake can be snapped up with this slot. Also launched this August is Microgaming’s Emoticoins. Emoticons play such an important role in our day-to-day lives now. Whether you are Facebooking, Tweeting or simply sending a text message (SMS), emoticons are used for everything. Microgaming have chosen to jump on the bandwagon and release their own emoticon themed slot machine game, and it is one which will go head-to-head with rival Net Entertainment’s slot, Emoji Planet. Emoticoins features a 5-reel, 30-line setup, and can be played for as little as 30p per spin. There is a 7,500-coin non-progressive jackpot up for grabs in the video slot, with the Emoticoins logo acting as a wild symbol. Randomly triggered wilds can be bagged in the slot, whilst the LOL scatter icon can trigger up to 10 free spins. During that feature, sticky wilds can bolster your chances of landing decent wins. The two new slot machine games were released last week and should be available to play at all good Microgaming powered casino sites, or casinos offering Microgaming software. One of Microgaming’s leading online casinos (Zodiac Casino) has also added a few new slots from the developer to their ranks this week. Earlier in the summer, Microgaming developed the 108 Heroes slot machine, which is a Chinese culture themed, classic slot title. 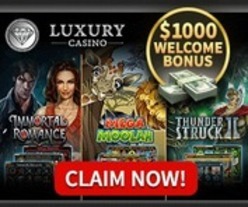 The game contains wild multipliers worth up to 10x the normal rate of pay, stacked wilds, and re-spins. Based on a popular Chinese story from the fourteenth century, the slot machine game only features 9 paylines, but prizes tend to be rather tasty in this game. Also launched at 32Red this month is Gnome Wood. True, the slot machine has actually been developed by Rabcat, but Rabcat distributes their slot machines on Microgaming’s Quickfire platform, so almost all major Microgaming powered casinos should be able to offer you the title. This is a fantasy-themed slot machine and one which showcases creatures and critters which wouldn’t look out of place in any fairy tale. The game can see Wandering Wilds make their way across the reels in both the base game and the free spins bonus, whilst the slot contains a nifty bonus spins feature which can provide decent wins. As one of the most trusted, secure and popular Microgaming casinos, 32Red Casino holds a lot of weight in the online casino world. They are solely powered by Microgaming, and their inclusion of these new slot machine games and continued loyalty to Microgaming is certainly going to be a major boost the online casino software developer during their revival. As we’ve said, things are looking up for Microgaming after a rather dismal start to the year. Microgaming is already looking forward to the future, and that future will see the release of another major film-themed slot. So, Microgaming may have lost The Dark Knight and the DC Universe franchise. However, they have just got together with Compass International Pictures to produce a slot based on the cult-classic, Halloween. “You can’t kill the Boogeyman” Halloween boosted, and nor can you kill Microgaming off so easily. The online casino software developers take on the famous 1978 John Carpenter film is set to launch just in time for Halloween. It will contain clips from the film, is fully licensed and could just be one of the more frightening slot machine games released in many years. Details concerning the slot’s features are being kept under wraps at this moment in time, but as the launch draws nearer, expect more skeletons to come out of the closet. Microgaming has its daggers drawn. The internet’s biggest casino software developer is back with a bang, and they certainly look to be gunning down Net Entertainment and Playtech with a passion as summer ends.